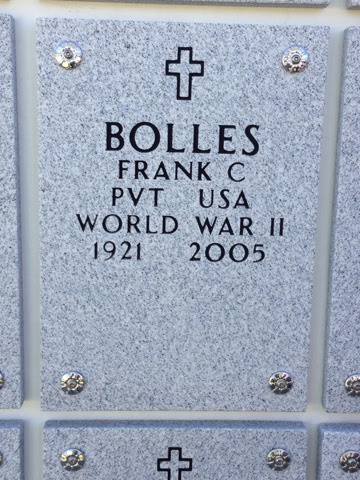 My Uncle Frank died in 2005 and I flew down to see him a month before he passed but never got to see where he was buried, having not returned for the funeraI. 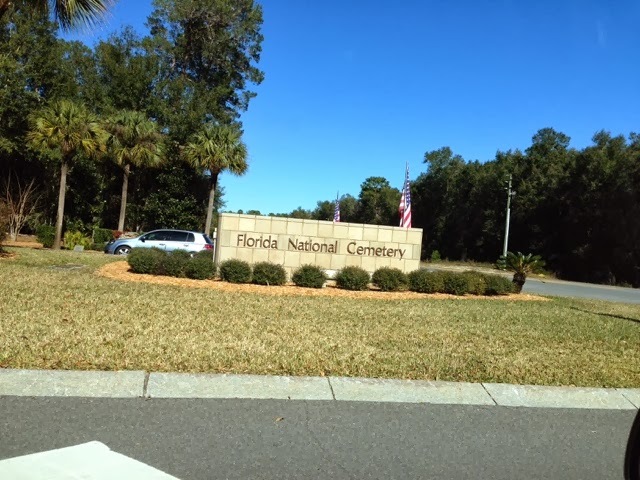 I drove my mother and my aunt the 1/2 hour to the Florida National Millitary Cemetary. To see all the graves row on row, acre after acre my heart sank thinking of all the brave men and woman who served our country. THANK YOU! There were three funerals going on the short time we were there. Each had Millitary Honor Guards and one with a Legion Band. After driving through the Cemetary we arrived at the columbariums and row D1 we found Uncle Frank's vault. He was a good man and a fine uncle. I was lucky to have spent some wonderful times with him growing up. When I was just 16 I had just received my drivers license and we went to visit him & my aunt on Long Island he gave me his car keys and said to me to go for a ride. I drove out to Jones Beach and back, being so careful not to have anything bad happen. Frank was a Fire Chief like my dad and yea, me too. The rest of the day included taking mom & aunt to Walmart and then dong some small things on the camper.